It's reassuring to know that in the event of a drainage disaster or similar emergency, there's a network of quality engineers standing by to come out and fix your plumbing problems. However, while some household pipework issues are unavoidable, there are a number of things you can do to maintain your household systems and prevent breakdowns occurring in the first place, saving yourself valuable time and money. Blocked drains are probably one of the most common kitchen plumbing problems, however, there are a few of things you can do to prevent them occurring. Once a week pour a full kettle of boiling water slowly down the drain to help dislodge any build up. Rinsing plughole stoppers will also help by removing any dirt or grease that could end up down the sink. Build ups of grease and fat in pipes trap pieces of food, leading to bothersome blockages or leaks. Prevent this occurring by pouring grease and fat from cooking into jars instead and then throwing it in the bin. If there's a bad smell lingering about your kitchen, try giving your sinkholes a good clean before calling out a plumber. Be sure to check your taps frequently, making sure that water flows freely from the moment you turn on the tap. This is especially important in bathrooms that aren't used regularly. Frozen pipes and obstructions are two plumbing issues that can be expensive if they go unnoticed, so if water doesn't flow freely be sure to call a Quality Plumber. 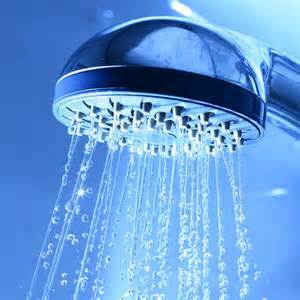 A great tip for keeping your shower in tip-top condition is to leave it in a bowl of vinegar overnight. In the morning, any flaking limestone deposits can be scrubbed off before reattaching the shower head and letting the water run to wash away any vinegar. This should be done thoroughly once a week by pouring water down the pipes. If water is not flowing freely, you could find yourself with drainage difficulties. Any pipes on the outside of the house are at risk of freezing and bursting during the winter months, which could be dangerous if close to your electrical supply. Click here to get our top tips on protecting your pipework from the cold when it gets chilly. By following these simple steps around the kitchen and bathroom you could save yourself the money and hassle associated with a leak or blockage, so this weekend why not dedicate some time to preventing plumbing problems around your home?